Voices of Music is an ensemble of gifted musicians specializing in early music. 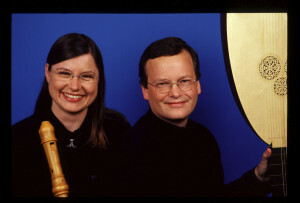 Early here means that the most recent they performed was from the 18th century, except for the fascinating world premiere by Hanneke van Proosdij, a master of recorders. Their program, The Art of the Recorder, performed in Palo Alto, February 13, 2014, will be repeated tonight, St. Valentine’s Day, at St. Stephen’s Episcopal Church, Belvedere; Feb. 15th at St. Mark’s Lutheran Church, San Francisco; and Feb. 16th at the Fellowship of Unitarian Universalists, Berkeley. I’m listing those events here at the beginning of this brief review so that anyone reading right now can get in a boat to Belvedere or get tickets for SF or Berkeley. It’s possible that some music lovers are not truly appreciative of early music or have never taken time to go to a first rate performance. If you are one of that group, you are missing a lot of fun. The selections on this program were varied, interesting, and beautiful. They are often peppy and have what seemed to this listener to be exceptionally unusual time signatures. The program confided that the meter for Bucimis, “a raucous Bulgarian folk tune and dance,” is in the meter of 15/16. No, I have not figured out how to tap that out, but it was very cool to listen to. The ensemble included Cheryl Ann Fulton, historical harps; Rodney Gehrke, baroque organ; Peter Maund, percussion; Carla Moore, baroque violin; Elisabeth Reed, viola da gamba; David Tayler, archlute & baroque guitar. Mr. Tayler is co-director with Ms van Proosdij. Ms van Proosdij played 8 different recorders. There were selections in which only two of the instruments played or in which one or two of the instruments sat out. The music is rhythmic and lively, occasionally hauntingly lyrical. An anonymous piece from 13thc. Paris and one from c.1400, found in the British Museum, demonstrate that music has changed but that does not mean it has always gotten better. Ms van Proosdij is also principal early keyboard player with Philharmonia Baroque and Festspiel Orchester Goettingen, and has performed internationally with many ensembles. One of the benefits of attending this concert is that the instruments themselves are beautiful, so there is a visual pleasure to crown the experience. The world premiere was performed by Ms van Proosdij and percussionist, Peter Maund. Zephyrus lived up to its name by evoking the mystery of winds both through the recorder and a large flat drum that seemed to be filled with sand. Mr Maund moved it in ways to sound like shifting winds and tides. Voices of Music was the first American Early Music Ensemble to broadcast concert highlights in HD video. They have an audience of 10,000 listeners a day, around the world. Concerts, April 10-13, will be Alessandro Scarlatti’s The Lamentations of Jeremiah, Kirsten Blaise, Soprano, and a 9 person ensemble. pictures: top, Voices of Music; Hanneke van Proosdij and David Tayler. This entry was posted in Hedgehog Highlights and tagged archlute, baroque guitar, baroque music, baroque organ, baroque violin, Carla Moore, Cheryl An Fulton, David Tayler, early music, Elisabeth Reed, Hanneke van Proosdij, historic harps, percussion, Peter Maund, recorders, Renaissance music, Rodney Gehrke, viola da gamba, Voices of Music on February 15, 2014 by Leslie.